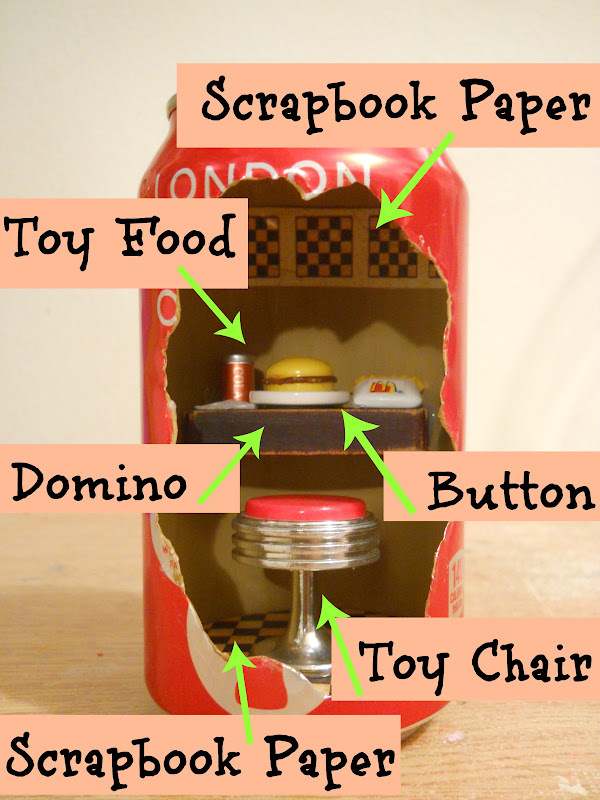 If you feel bad about throwing out those pop cans or if you have a ton of your kids small toys lying around then don't fear because today I have a super fun diy for you. 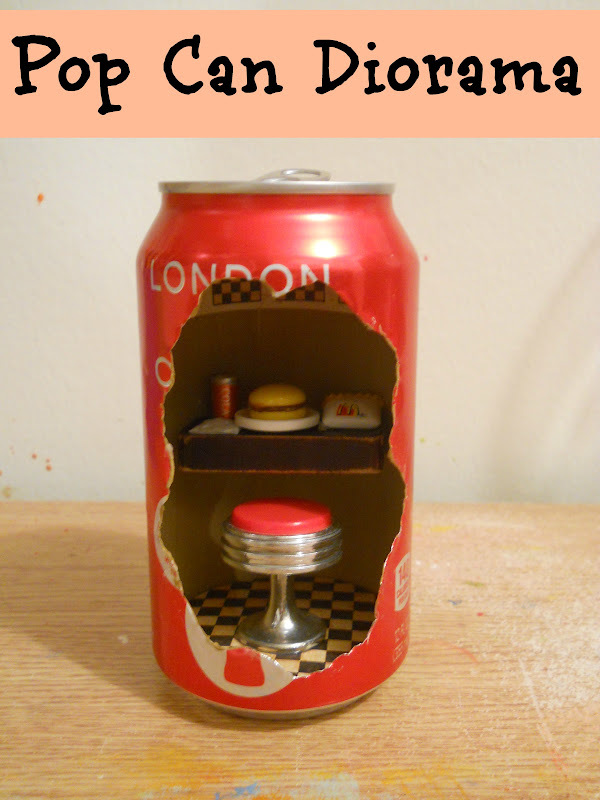 Today's diy is a pop can diorama, I did this project forever ago and recently thought that it would be fun to make it again. This is one of those projects where the possibility are endless, and you can really get crafty. Step 1: With a clean pop can, take your marker and draw the shape you want to cut out. Step 2: Take your craft knife and carefully cut out your shape. Once your done cutting, take some sand paper and sand down the edges of the can. Step 3: Paint the inside of your can ( this step is totally optional ). Now in this bottom photo, I broke down everything so you could see what I use to make my mini diner. When you have all your items glue in then your done! thats really cute! That would be perfect for a gag gift for an office-mate. Cute and so creative!!!! I'm your newest follower!